What do ideophones signify? From early on, the link of ideophones to sensory perception has been recognized, but it has rarely been explicitly investigated. This chapter reports on a series of elicitation tasks that systematically probes a number of perceptual domains: tactile texture, taste, colour, shape, sound, and smell. 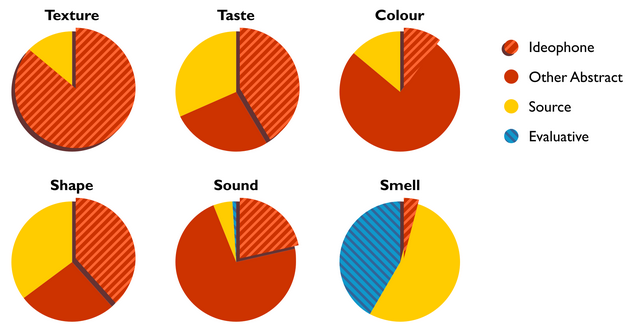 Though not all domains are equally elaborated, ideophones emerge as a key expressive resource in sensory talk. 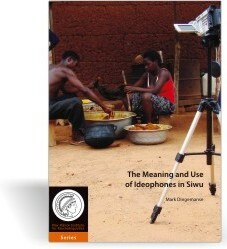 These are the supplementary materials for the thesis The Meaning and Use of Ideophones in Siwu by Mark Dingemanse. Please consult the thesis for context and detailed transcriptions.